Madurai, India – In a southern Indian village near Madurai, at around 1am one day in February 2010, Annam*, a daily wage labourer who lived with her bedridden husband, was shaken awake from her sleep by panicked neighbours. “They were screaming that something had happened to my daughter,” said the now 60-year-old. She ran to her daughter’s hut, two streets from her own, to find her child’s charred body outside, wrapped in several jute sacks. After her daughter’s death, Annam took responsibility for her grandchildren, a girl and a boy then aged nine and six. “For years, I did back-breaking work at construction sites and as an agricultural labourer to put them through school,” she said. That’s when KR Raja, a differently abled prison activist and social worker living in Madurai, stepped in to help. I’ve seen even hardened criminals change their behaviour after family visits. I tell them that while I can’t promise to solve all their problems, I can promise to never let them face them alone. There are no statistics for the number of women killed by their spouses each year but, under Indian law, three categories – dowry deaths, encouragement of female suicide and death following cruelty by the husband – deal with the issue. For an idea of the magnitude of the problem, National Crimes Records Bureau data from 2016 – the most recent available figures – show 39,723 cases of dowry death pending trial in court with 16,315 fresh cases registered that year. The level of financial support depends on the child’s needs and is paid in instalments, directly to the child’s or guardian’s bank account. “They sold property, almost invited financial ruin to ensure that I had good schooling and medical care,” he said. As a master’s student in social work at Puducherry University, for his final year thesis, he set out to interview 70 imprisoned men, many of whom had killed their wives in heated arguments. “I began tracing their children and reporting back to them and was struck by their relief and joy,” he says. Easing prisoners’ minds about their families and ensuring they have better social support and resources to be productive in jail is critical, he said, in the evolution and rehabilitation of the prisoner. 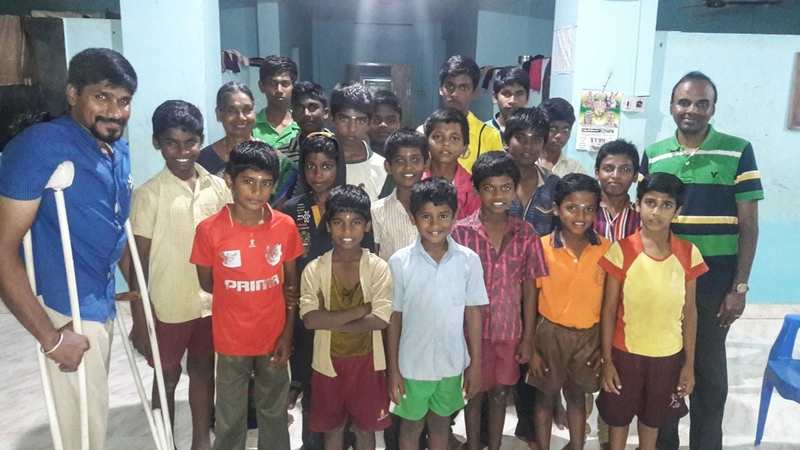 “We realised that the impact of Raja’s work has a reach beyond the lives of the children and prisoners he helps. It extends to entire families, communities and society,” he said. With Kanthari’s support, Raja travelled to Nepal and spent three months observing the work of an organisation that had similar goals – Prisoner Assistance Nepal. Next articleIs India waging a ‘war’ on Islamic names?